Green sustainable energy comes in different forms – geothermal, solar, wind, and hydropower. Humankind currently relies on non-renewable sources such as natural gas, oil, and coal that pollute the environment. Mine exploitation, processing, transportation, and use are major sources of pollution. Coal and gas are finite resources that require sophisticated technologies and would become expensive to retrieve in the foreseeable future. Unlike them, solar and wind power are environmentally-friendly and will never run out. Renewable sources provide power and are not environmentally damaging. Future generations will be able to use solar and wind power while the reserves of fossil fuels will eventually dwindle. This means that they are stable and can be relied on. The Moon will orbit our planet, thus generating tidal power, and the Sun will emit protons for millions of years. It is the source of wave, wind, and solar power and bio and alternative fuels. The Earth’s crust is a source of geothermal power. Nuclear fusion is also a source of sustainable, green energy that uses hydrogen isotopes and hydrogen. Green energy is a source of affordable electricity. According to experts, diversification of the power mix is one of the ways to stabilize prices. The cost of solar panels and other specialized technologies has decreased during the last years, which drives electricity prices down. In fact, the cost of producing electricity from wind turbines and other technologies has decreased by over 80 percent since they were developed. The main advantage is that they produce affordable and clean electricity. The reason is that the fuel is practically free and unlimited. If 20 percent of the supply comes from clean or non-polluting sources, the price of natural gas will drop substantially (according to experts, a decrease by over 4 percent is expected). While green energy has the potential of stabilizing prices, the cost of oil and fossil fuels varies based on demand and other factors. The price of natural gas also fluctuates. The use of green energy sources will lead to a decreased demand for coal, oil, gas, and other traditional sources. Moreover, supply can be disrupted due to natural disasters, storms, heat waves, and prolonged droughts. The processing of coal, for example, requires huge amounts of water. This amount may not be available during prolonged draughts. Renewable sources secure steady energy supply. Many governments encourage the use of green sources and work toward a sustainable energy transition. The goal is to develop instruments and capacity and increase the energy supply at the local level. The role of local and national governments is to implement strategies for effective management and to create more opportunities for training programs, study visits, and peer-to-peer exchanges. Including more clean sources in the mix is a way of improving energy security. In some countries, there are targets, and producers and retailers are required to include renewable energy in the mix offered to households and businesses. The target for European Union countries, for example, is 20 percent by 2020. At the international and inter-governmental level, experts and politicians work toward improved awareness of the benefits of sustainable energy. The role of the local authorities and individuals is to act as asset managers and leaders. The main goal is to focus more efforts on decreasing demand, improving energy conservation, and R&D for wind and solar power, fuel cells, biofuels, and other sources. Companies and governments make investments to construct, develop, and maintain technologies and facilities. Oil and fuel imports are expensive and while they create jobs, miners often work in unsafe conditions. Unsafe pillars and tops pose a threat to the life and health of miners, and accidents occur. Mine gases are also a source of concern. Coal releases water vapor and carbon dioxide into the air. Black damp is formed when nitrogen reacts with carbon dioxide. This gas can spread throughout the mine, thus reducing the supply of oxygen. Exposure to black damp leads to blurred vision, headaches, rapid pulse, and dizziness. Unlike mining, green energy options are safe to exploit. The focus is on the welfare, wellbeing, and safety of contractors, employees, workers, and local communities. Taxes go toward creating jobs and fueling economic growth at home. Relying on fossil fuel means spending money on overseas imports. What is more, the developed countries build new technologies that are offered overseas and further contribute to economic growth. There are different sources of sustainable energy, including solar cell systems, hydro power plants, geothermal generators, heat pumps, and plants. Some companies also use byproducts and vegetable and animal waste to generate heat and electricity and transform it into methane gas. They implement innovative solutions such as bacterial digestion and supply gas for generators. Biomass is also a source of renewable energy that helps reduce the volume of carbon dioxide emissions. Production facilities use prairie grasses, wood and soybean residues, and wheat straw and corn stover. Biomass is processed in combined heat-and-power facilities. Why Is Energy Independence Important? Independence increases self-reliance and reduces dependence on foreign countries. It leads to an increase in production volumes and overall net increase in domestic production. Independence also drives foreign policy. The perceived strength and negotiating power of oil-exporting states is expected to play a less important role. According to political scientists, this development will be a healthy change. The Middle East and its political climate are known for tyranny and dictatorships, conspiracy theories, and extremism. The influx of oil money plays an important role. Dictatorships that rely on energy revenues to stay in power will be confronted with the drive toward modernity and social equality. Independence is also important because it improves energy security. Countries that are less dependent on foreign supply are also less vulnerable to other states reducing exports or shutting the tap. Oil boycotts have occurred in the past, and utilizing sources of sustainable energy is one way to minimize their negative impact. 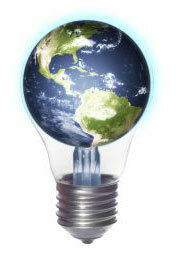 Energy is important for national economies as it provides jobs. One of the most important steps is to identify the opportunities for conservation, improved efficiency, and development of technologies for utilizing sources of renewable energy. In many countries, the focus is on generating more nuclear power through safe technologies, producing more efficient vehicles, and using cleaner energy sources. Homeowners and businesses play an important role in this process. They can install solar thermal panels and photovoltaics to heat water and generate electricity. There are other green solutions such as horizontal axis wind turbines and windspires. Solar thermals are easy to install and can meet up to 80 percent of the households’ heating needs. 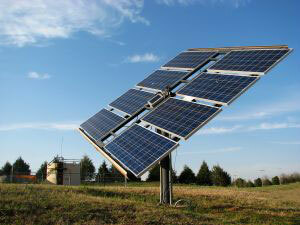 There are innovative technologies such as massive turbines and robots that install photovoltaics. Automation means that solar panels can be installed regardless of weather conditions. Other developments include optical furnaces and liquid metal batteries. Optical furnaces can be used to heat silicon and manufacture panels. This will optimize the production process and reduce the price of solar cells.